MAVENTRI is a full-service digital firm offering a full stack of services to start-ups, small businesses, enterprise, and government entities. What Bookkeeping Services solution do you use? Acuity is a forward-thinking bookkeeping team that helps you reach your financial goals with confidence. Bench Accounting is a firm that automates accounting tasks to organize the financials of small businesses, independent contractors, and entrepreneurs. Bookkeeper360 is a Xero Platinum bookkeeping and accounting firm that delivers bookkeeping and back office solutions powered by cloud-based software that help small business owners run better and be a smarter business owner. Maxim Liberty is a firm that offers virtual bookkeeping services for CPAs and small businesses,it can help user and business grow exponentially. GrowthForce is a firm that provide outsourced bookkeeping, accounting and controller services to help user get timely, accurate financials from a dependable team of accounting professionals. Merritt Bookkeeping is a firm that specializes in bookkeeping needs, it uses QuickBooks and keeps all data in a QuickBooks file, user can access it or take it to a separate accountant and generates monthly reports, which it sends in PDF format. Ledgers Online is a platform tha provide services including bookkeeping, accounting,qickbooks and doc management to help businesses outsorce their bookkeeping and accounting. Ravix Group provides consulting services to outsource the finance/accounting and human resources functions for early-stage and midmarkets. * We monitor all Maventri reviews to prevent fraudulent reviews and keep review quality high. We do not post reviews by company employees or direct competitors. Validated reviews require the user to submit a screenshot of the product containing their user ID, in order to verify a user is an actual user of the product. Hi there! 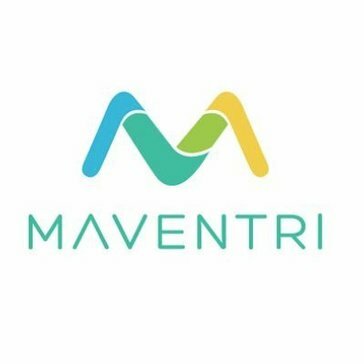 Are you looking to implement a solution like Maventri?